Right after you’ve given thanks for friends and family, and eaten an excessive amount of food, it’s time for that other holiday: Black Friday. As fashionable as it is to say you’re not interested and would rather do something else, it’s hard not at least be mildly curious if there are some good deals to be found. If so, make sure you grab your smartphone and get it ready for all the shopping madness. You’ll want to tap into the best shopping apps and some Google services to survive this day. Here’s a brief guide that will help you find deals you didn’t know you needed and navigate through the chaos so you don’t spend all day in a fruitless chase. There are plenty of subpar apps out there that misleadingly throw the label “Black Friday” on them in order to get you to hit that Install button. Ignore those. Start with the Black Friday app from Slickdeals. The team behind it has a force of secret elves that score all of the Black Friday ads before they go to print. It’s a good way to browse for what you might want or hone in on a particular store. Get the Black Friday ads before everyone else so you can get a jump on all the other shoppers out there. Another app I like for this purpose is Black Friday 2016. Along with the latest Black Friday ads, you can clip coupons and search by individual retailers. This way if your goal is to search for killer electronics sales or maybe want to score some camping gear, you can tailor your search towards those ends. Retale’s app has a ton of ads and other specials geared towards Black Friday. Both of these options also offer a good interface that make it easy to find your way around and save key information for later. If you’re going to brave the crowds, they’re definitely worth grabbing so you can better plan your outing. Since you’re using an Android phone, you ought to put the power of Google to work. It’s especially essential if you have a Pixel, as you can deploy the Google Assistant as your external brain. For example, “Ok Google, take a note” lets you speak items that you can retrieve later in a note-taking app like Google Keep. The Google Assistant is always ready to help, including remembering your voice notes. Google also continues to try and pick away at Amazon by building a number of shopping tools right into the search interface. When you look up a particular product you can find out if it’s for sale nearby, look at reviews, or visit related online stores. A quick Google search can help you find items and prices in multiple stores. This search will live in Google’s memory, which means you may see a card pop up in your Google Now stream that points you towards a price drop. Finally, if you’re going to be rushing from one store to another you’ll want to know the latest tricks from Google Maps. When you search for a venue you can find out when the location is most likely to be busy, thanks to data that Google collects from smartphone users. Google Maps can estimate when a store is likely to be at peak busyness. Additionally, if you want to know the hours of a specific department, you’ll find that toggle inside of a store’s specific page inside of Google Maps. I’ve found that Google usually has this up to date even for holiday hours, which are usually different than other times of the year. Some large stores have hours for different departments, which are listed inside of Google Maps. If you’re going to be battling traffic from one strip mall to another, you may want to give yourself an ally with Android Auto. The app now works in a standalone mode, not requiring any connection to a dashboard infotainment system. This allows you to get easily accessible directions and other updates in a format that will keep your eyes on the road. 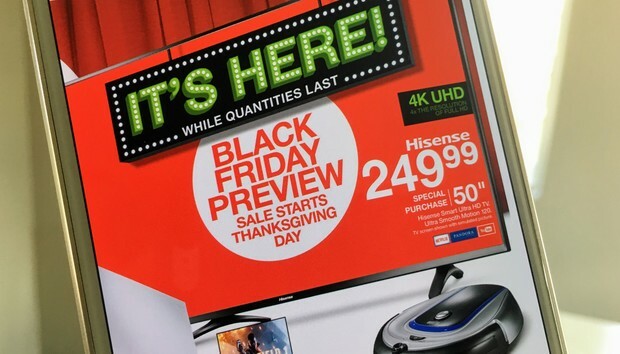 The key to a successful Black Friday is to know what you’re shopping for and to compare those items with other digital and brick-and-mortar storefronts to find out if the deals are really worth it. Often retailers use this day as a way to offload some merchandise that isn’t selling or to throw out some bargains to a few early risers as a way to get more people into the store. You should also consider getting the apps for the stores you’re headed to, as they’re likely to list their deals or will offer you an incentive only available from inside of the app. Google Home is a WiFi-connected speaker that’s powered by Google Assistant, and answers questions, controls other smart home gadgets, and streams music and Internet radio—among other talents. Our Google Home review found it to be a capable digital assistant, and the special pricing makes it worth considering. When it comes to Black Friday, the key is to avoid getting suckered into something you don’t need. It’s a day that’s generally overhyped by the gods of capitalism, but by arming yourself with the right information you may be able to get a head start on Christmas shopping or pick up something for yourself at a nice discount. There’s no need to go into it blind, which is why your trusty phone should be at the ready. Need some gift ideas? Check out TechHive's Smart home gadgets gift guide, or perhaps PCWorld's Best gifts under $50.